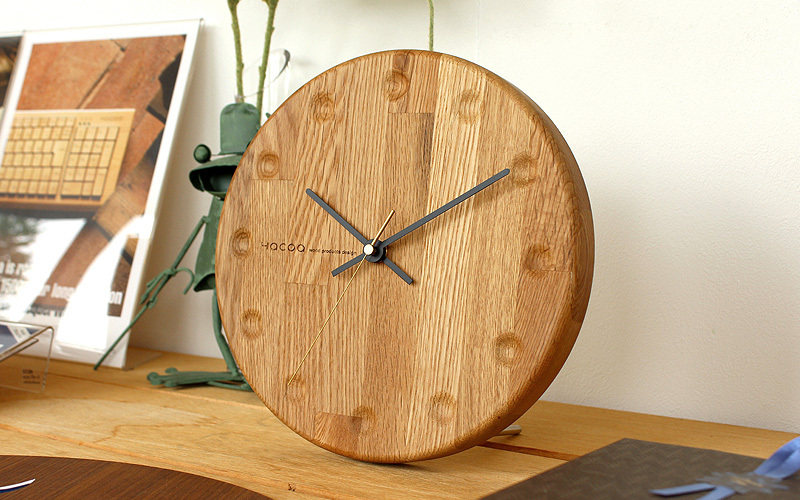 Made of large piece of laminated timber, this simple clock with a presence of wide stripes will tick gently in your room. 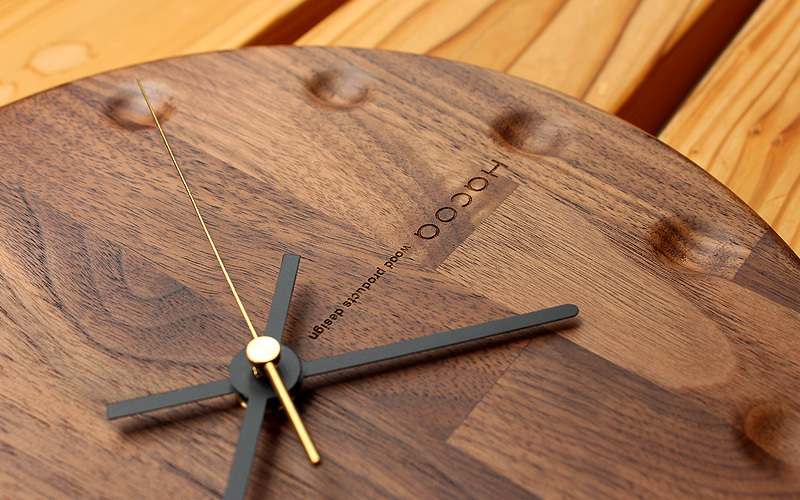 Its color and texture get richer year by year as if it matures with you. 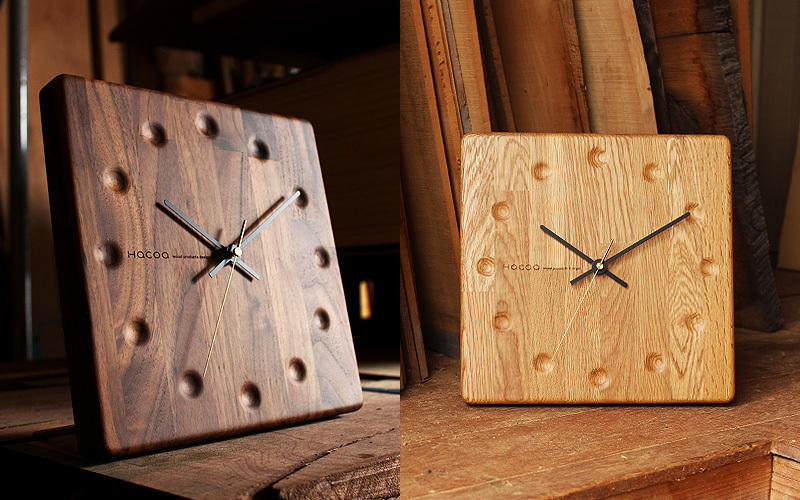 It comes in the shape of round or square and both can be used either as a wall clock or a table-clock.